What is a municipality (kommune)? On behalf of the people of Ås, it is a great pleasure to welcome all new and old students to Ås municipality. The University is an institution of central importance in Ås, and I'm glad you chose to study here. Ås municipality cooperates with the University and the Student Union to facilitate the development of Campus Ås as a quality facility for education and research. Through the health clinic and school health services, the municipality is working to ensure good health care for children, young people, and students. The health clinic is a low-threshold service that offers advice and guidance for children, young people, and parents. Ås is a multicultural hub. 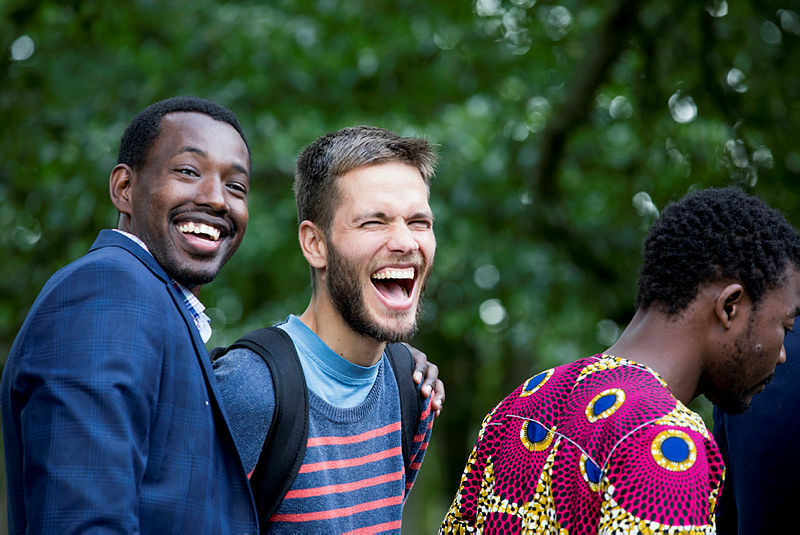 With students and researchers from all over the world, the University contributes to the diversity of the population in Ås. At the Student Union you’ll find an assorted range of activities you can get involved with, and I hope you use the opportunity to join some of the many teams and associations that exist on campus and elsewhere in the municipality. In the centre of Ås we have an Arts and Event Centre that also houses the cinema and the library, I hope that in addition to taking advantage of these facilities, you will take the time to shop in our local convenience stores as well. We need you to create a good community. I hope you will enjoy your time in Ås, and that you will acquire the knowledge that will enable you to develop environmentally friendly growth and development locally and globally. Welcome to some great years here in Ås. Ola Nordal (The Labour Party) is our current mayor. Ås is expanding and developing, there’s more and more to see and do! The centre of Ås is a short walk from the campus at NMBU. In the streets behind the train station you’ll find many of our shops, with a good selection of food stores and other services. There are also several cafes and restaurants in the village centre that are pleased welcome you as a guest – look out for the occasional student discount. Ås Town Hall (Rådhus) and Ås Arts and Event Centre (Ås kulturhus) are also located in the centre of the village. These two buildings surround a pleasant and social courtyard, alongside the Rådhus Park with its outdoor stage. This is a popular public area open to all residents. Festivals, concerts, and other free events often take place here. In the town hall you will find the service centre, which can help you if you have questions about council services beyond what you can find on our website. In the arts and event centre you’ll find meeting facilities, Ås Library, and Ås Cinema Theatre. Visit the centre’s website to find an updated program for films, concerts, and other cultural activities. Café Falsen – located in the cinema foyer - offers simple and good food at a reasonable price. Ås Library is also open after hours. In order to enter the library after hours you have to sign a contract on arrival at the library during its official opening hours. Looking for something meaningful to do with your spare time? Check out Ås Volunteer Centre. Kroer lies at the southern end of Ås, and is a beautiful agricultural area well suited to longer cycling trips, and other activities in the great outdoors. Kroer also has a community centre which can be rented for various activities. In the northern part of Ås are the villages of Nordby and Vinterbro. Vinterbro has a great shopping centre, and a pleasant beach called Breivoll. Vinterbro is also home to Tusenfryd – Norway’s largest amusement park. Nordby also has a community centre: Liahøi arranges flea markets, an annual Christmas market, and other activities throughout the year. Ås, in collaboration with SiÅs and NMBU, offers health services for youths and students. There is no age limit for students at the Health Clinic (helsestasjon). Ås has several channels and profiles on social media. Download our app / push alerts onto your cell phone, and get info and news right in your pocket. You choose which, and how many, categories you want to subscribe to. Ås council sends sms alerts about work that is of major importance to you. A municipality is a geographically restricted area that has its own political and administrative unit within a state. A municipality has partial autonomy in local affairs. The municipal government is the supreme political body in the municipality and is headed by a mayor, usually from the largest political part. The administration is headed by the Chief Administrative Officer. The English word municipality derives from the Latin social contract municipium (derived from a word meaning "duty holders"), referring to the Latin communities that supplied Rome with troops in exchange for their own incorporation into the Roman state (granting Roman citizenship to the inhabitants) while permitting the communities to retain their own local governments (a limited autonomy). The system is based on democracy, where everyone can influence decisions by voting for their elected representatives. Ås municipality has three areas of priority, and these are the environment, diversity, and opportunities. In many cases, the municipality will carry out tasks that parliament or the government have ordered, but mostly local authorities organize daily services for its inhabitants, such as roads, water, sports halls and health centers. The municipality is responsible for ensuring that residents have access to basic welfare benefits such as schooling, kindergarten, social assistance, medical care, and more. Ås municipality is also a host municipality for NMBU and cooperates in making your living as a student in Ås as good as possible.